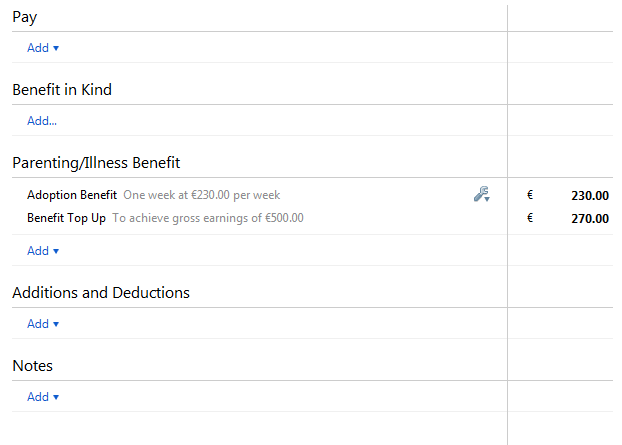 Adoptive Benefit will be taxable for all claimants with effect from 1 July 2013. As with all Department of Social Protection benefits, it will not be subject to USC or PRSI. 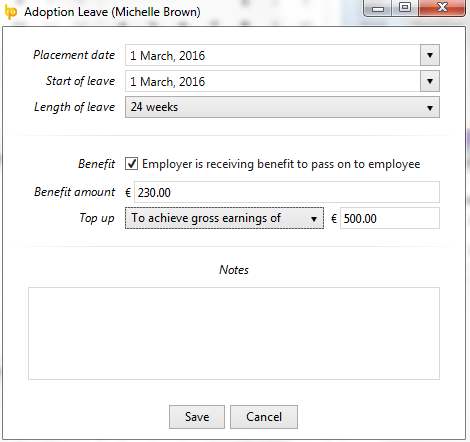 The Revenue Commissioners have confirmed that the taxation of Adoptive Benefit will be taxed by Revenue by simply reducing an employee's tax credits and SRCOP with effect from 1st July 2013. 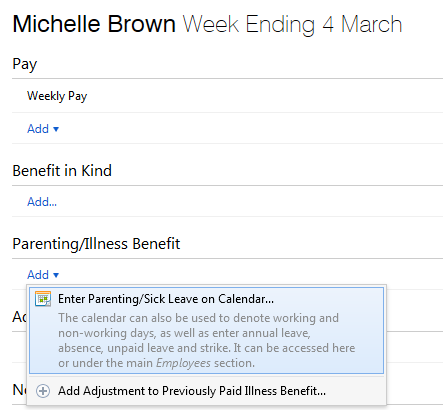 3) Click on the expected placement date of the child and press Parenting Leave > Adoption Leave at the top right of the calendar. 7) Enter any additional notes, as desired, and click Save. 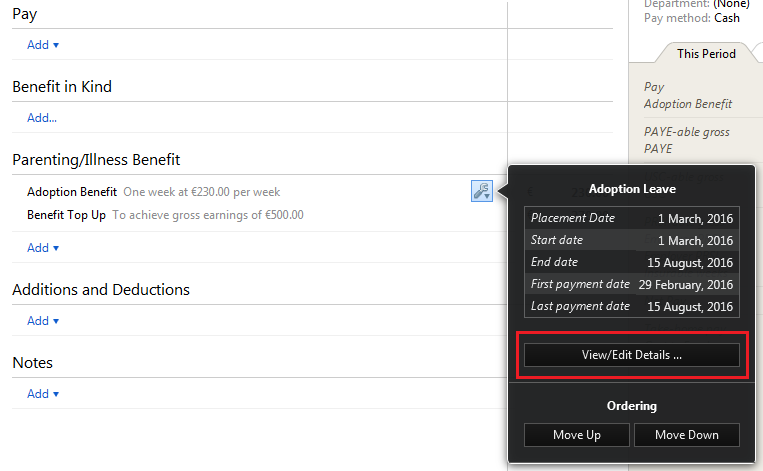 9) To view/ edit the adoptive leave details at a later stage, simply click the Edit button within the DSP Parenting section, followed by View/ Edit Details. The original entry will be displayed, simply amend the entries as appropriate.